how to solve,fix,repair memory card not working faults & problem solution in Hindi. Memory Card phone me data jaise – songs, mp3, mp4, videos, games, ringtones, pictures or all other data store karta hai. Memory card different capacities ke hote hai jaise 1GB, 2GB, 4GB, 8GB, 16GB, 32 GB, 64 GB or 128GB. Memory Card ke 8 points memory connector ke 8 pins se touch hokar PCB se connect hota hai. Aaiye jante hai is phone me kitne types ki memory card ki problems aati hai. Is Phone ki memory card ki all problem ko solve kaise kare aaiye jante hai. 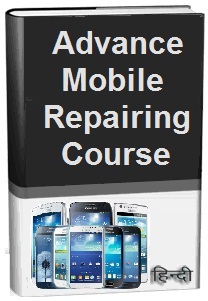 Mobile repairing me mmc card ki fault kaise solve kare, phone mmc ways solution in Hindi. 1. Kisi Dusre Phone me Memory Card Lagaye or Check kare, Agar fault same aati hai to memory card faulty hai, memory card change kare. 2. Phone se memory card hatakar koi dusra memory card lagaaye, agar new memory card lagane ke bad bhi same fault aati hai to fault phone me hai. 1. Memory Card ko Computer se format krke reload kare or 20% tak memory capacity khali rakhe. 2. Agar Memory Card Lock hai, Computer me read ya show nahi ho raha hai to Memory Card Unlocker se Lock Open Kare. 3. Memory Card me Virus ho to full Format Kare. 1. Memory Card Connector ke points ko scratch or clean kare. 2. Memory Card connecter ko Resold kare. Agar mmc fault solve na ho to next steps ko follow kare. 3. Memory Card Socket ko Change Kare. Fault solution na ho to agle steps par chale. 4. Phone PCB par Memory Card section ko Wash or Clean Kare. 5. Memory Card Section ke parts or track ways ko check kare or part faulty hai to change kare, track broken hai to jumpar kare. 6. Memory Card IC ko Heat, Reball or Change Kare. 7. Power IC ko Heat, Reball or Change Kare. Notes: Memory Card IC ke Place par Jumpar bhi bana sakte hai. Tags: mobile, cell phone, android, samsung, smartphone, repairing, how to, fix, solve, repair, open, samsung galaxy j7, memory card, lock, unlock, password, error, corrupt, not responsive, unresponsive, not save files, pictures, videos, songs, apps, games, mmc, card not working, not open, not accepted, not show in phone gallery, faults, problems, mmc jumper ways, track ways solution, kaise kare hindi me, tips, guide, in hindi.